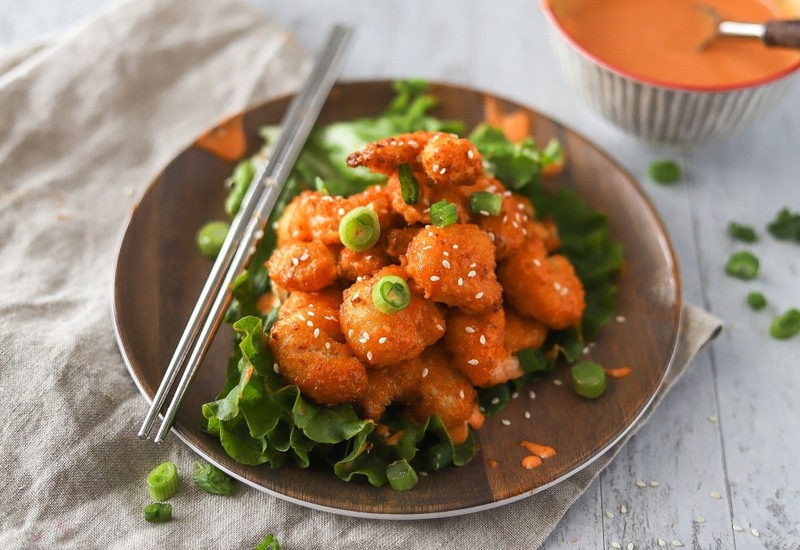 Bang Bang shrimp just like you would get at a restaurant is super easy to make at home. Coat shrimp with flour, egg, then a buttermilk mixture and cook in the air fryer for 10 minutes. Then mix cooked shrimp with a Sriracha sauce to elevate the flavor to the next level. Serve this dish as an appetizer or add rice for a full meal. The best part is that it takes less than 30 minutes! If you don't have buttermilk, you can make it at home. Just mix ½ cup milk with 1½ teaspoons lemon juice and let sit for 5 minutes. Try black sesame seeds instead of white sesame seeds. Per Serving: 491 calories; 25g fat; 54.6g carbohydrates; 11g protein; 62mg cholesterol; 1175mg sodium. By far one of the best bang bang shrimp recipes I have had. This tastes just like my favorite at Bonefish Grill. I have tried a few other copy cats but none hold up to this. The bread coating on the outside was crisp, not soggy like some others. I loved the sauce too. I would give this 10 stars if I could. Definitely my favorite air fryer recipe I have tried! The sauce is amazing. I get the shrimp with the tail off and make sure the shrimp is dry before dredging in the flour. So good!